RedFox is coming out with a huge sale this October and you can also win a brand-new REDFOX 890i notebook. THe sale which is entitled "Game On!!! The REDFOX Gaming PC and Laptop Sale" is REDFOX's month-long gaming PC and laptop sale at selected SM Appliance Centers! 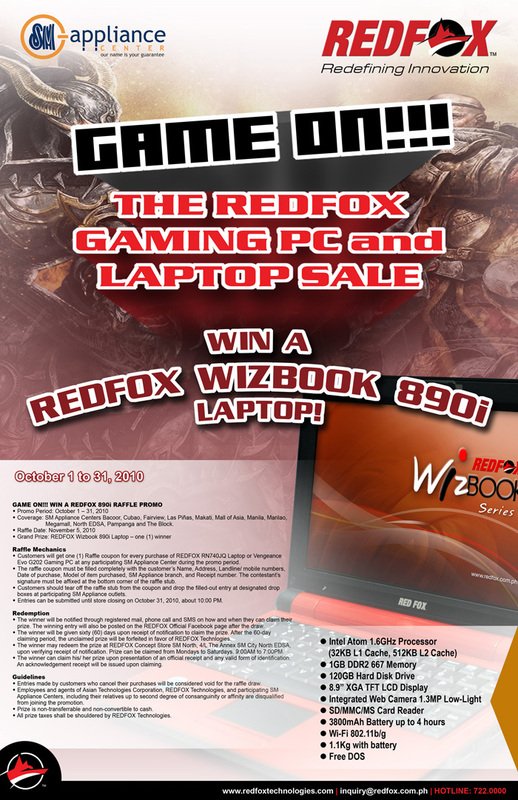 Visit your nearest SM Appliance Center now and get a chance to win a brand-new REDFOX 890i notebook! Sale will run from October 1 to October 31! So why wait? Buy REDFOX now! See photos and banners for more details.